Your Yogurtland application is a ticket to career with a company that has changed the frozen yogurt industry significantly. With a unique self-service supply and a commitment to natural and healthy ingredients, it is little wonder why this relatively new chain has expanded into so many more locations across the United States. Phillip Chang’s vision of a frozen yogurt store where customers are able to create exactly what they want, became a reality in 2006. Since opening in local Fullerton, California, the company has expanded to include over 550 stores – some now overseas. With such rapid growth, new job opportunities are frequently opening. The company prides itself on the use of ‘real’ ingredients, including fresh fruit and Californian milk. This key principle is highlighted by the slogan ‘get real’, associated with the brand. Flavor innovation is a continual dedication, as is the promise of ‘functional food’ – ingredients that provide other benefits to consumers besides wonderful tastes. As a young and exciting company, working for Yogurtland is often described as fun and positive, with a vast range of roles to choose from. Employment options continue to widen as the company expands into ambitious new markets. The company has enjoyed a partnership with Sanrio for a number of years, though it remains a sole entity with the original founder as CEO and president. Rapid expansion created a requirement for a number of corporate positions. As a young and enthusiastic company, social media is used as a marketing tool to engage with consumers. Corporate roles such as Social Media Coordinator exist for this purpose. The opportunities available in stores continues to grow. Don’t’ be fooled – the company may be self-service, but good customer service is still high on the list of in-store priorities. Store employees are fun and creative people, contributing to the atmosphere in a positive way. How old do you have to be to work at Yogurtland? Although asked to state that you are 18 years or older on the application form, 16 year olds can work in some positions – however, a work permit may be required in some instances. Employment benefits include competitive pay flexible hours. Career progression is always available to the right candidates, with extensive paid training provided to employees. Performance bonuses may be applicable to some management positions. Store opening hours are usually around 1100am to 1030pm, staying open a little later on Friday and Saturday evenings. Shift patterns may operate either side of these hours, however. Opening hours will depend on individual stores. Shift Leader – Shift leaders are required to be positive role models to associates. Most usual store operation responsibilities will fall upon Shift Leaders in the absence of the Store Manager. The hourly wage is usually between $9 and $11 per hour. Store Associate – This is perhaps the most consumer-facing role. The brand is yours to promote and uphold on the front line, as is overall product quality and customer service. This entry-level role usually comes with a wage of around $8 to $10 per hour. Assistant Store Manager – You are a great communicator and an efficient problem solver. As you will be actively managing the shop floor, it goes without saying that you are an effective leader too. Assistant managers receive between $10 and $13 per hour. Store Manager – The Yogurtland vision is yours to be promoted in your very own store. Responsibilities include all profit accountability and a front seat in the drive for increased sales. Salary starts at around $15 per hour. 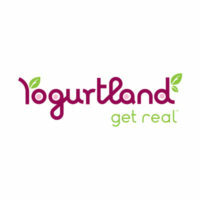 Find more Yogurtland jobs online by following the link below to the Yogurtland careers page. Here you will also find how to apply for Yogurtland online, or click on the ‘download application form’ option to obtain a printable application form. What do you think you will be doing in this role? This is why it is always essential that you read the job description thoroughly. Don’t just reel off the list of responsibilities though – make sure you talk about the skills you expect to be developing. What draws you to this industry? A love of ice-cream must be a start! It might be good to talk about the attraction of a young business with a modern ethos. Many admire what the founder has built – talk about what positive differences you think the company can make for the industry, and that you can make for the company. When have you shown an entrepreneurial spirit? This is what the company has been founded on. You don’t have to have set up a private airline – maybe you’ve had a lemonade stall as a kid? The interviewer is really investigating how much of a self-starter you might be. What is your favorite flavor? Your product knowledge is being tested. This is definitely an area you will need to research prior to your interview. It will be expected of you to have an in-depth knowledge of the company’s products, so that you can best serve and inform consumers. If you got this position, what would your personal goals be? Talk about aspirations to progress internally. You want to be running your own store someday, don’t you? That’s the kind of candidate your hiring manager will be looking out for. Yogurtland jobs receive a high number of applications, so it is important that your free application stands out as professional whenever you apply for jobs at Yogurtland. Whether you have decided to fill out a printable application for Yogurtland or apply online with a direct application, it is important that you take the greatest care when entering your resume. If your Yogurtland application has been accepted, you will be asked to attend an interview. This is likely be conducted by your prospective manager. Various questions will be asked, mostly about your past experience, but also to get a feel for how you might fit in with the team. If you are successful, you will likely be invited to a second interview before being offered a position. As always, do as much research as possible before your interview. Also, make sure you refresh yourself on your own experience too – you don’t want to leave having missed out something key about your abilities. Take a printout of your online application for reference, and don’t forget to look at other Yogurtland jobs online – you might be asked about the roles of other team members.